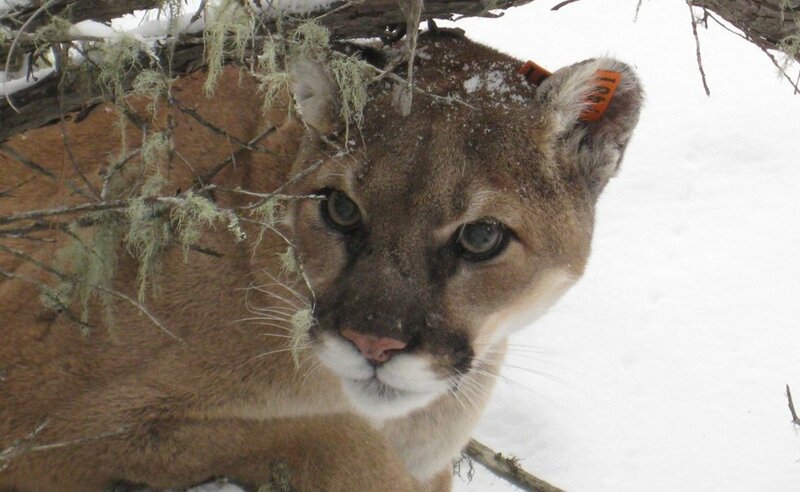 Would you know what to do in the case of a mountain lion encounter? Check out these important tips. A wildlife encounter turned terrifying for one runner on Monday, Feb 4. According to Colorado Parks and Wildlife (CPW) officials, a man was running on the West Ridge Trail at the Horsetooth Mountain Open Space outside of Fort Collins when a juvenile mountain lion attacked him. Despite several bites to his face and wrist, the runner was able to fight back and suffocate the animal with his bare hands. It was likely the running roused the animal's instincts. "Mountain lion attacks are not common in Colorado and it is unfortunate that the lion’s hunting instincts were triggered by the runner,” Ty Petersburg, area wildlife manager for CPW said. "This could have had a very different outcome." The runner told officials that he heard something behind him and the lion lunged once he turned around. The man sustained serious, but not life-threatening, injuries. The mountain lion was described as a juvenile and has since tested negative for rabies. According to officials, the runner did exactly what he was supposed to do in this situation: fight back. “The runner did everything he could to save his life. In the event of a lion attack you need to do anything in your power to fight back just as this gentleman did,” said Mark Leslie, CPW Northeast Region manager. Mountains lion populations are doing well in the state, but attacks are rare. They tend to avoid humans, and there have only been 16 injuries reported and three fatalities due to mountain lion attacks in Colorado since 1990. So, there's no reason to avoid the outdoors, but it is critical to respect wildlife that you run into in the wild and be informed about how to avoid or manage wildlife encounters. If the lion behaves aggressively, throw stones, branches or whatever you can get your hands on without crouching down or turning your back. Wave your arms slowly and speak firmly. What you want to do is convince the lion you are not prey and that you may, in fact, be a danger to the lion. Fight back if a lion attacks you. Lions have been driven away by prey that fights back. People have fought back with rocks, sticks, caps or jackets, garden tools, and their bare hands successfully. Target the eyes and nose, as these are sensitive areas. Remain standing or try to get back up! Do you know basic first aid for the hiking trail? Check out these tips.